What does ‘sustainability’ for business really mean ? Put simply, it’s a short-cut way of saying ‘Doing business more responsibly by respecting and preserving the Earth’s natural capital’. Sustainable business is fast becoming the growth opportunity of the 21st century. More and more consumers now want to engage with organisations and brands that can demonstrate greater ethical awareness in their procurement decision making, reducing the quantities of virgin materials in their manufacturing process, and lowering impacts on the environment at the very end of the purchasing cycle with eco-friendly packaging solutions. Marketing has long been a key driver for economic growth, and we believe that sustainable business development is a necessity for the growth of the future world economy. Many global corporations have already embraced this change and made wholesale changes to the way they operate. This not only gives those organisations a competitive edge in their market place, but also demonstrates their ‘Thought Leadership’ to its stakeholders, industry and government. We are experts at understanding sustainability and communicating it in a creatively engaging and simple way. Creative thinking and a passion for the environment is in our blood. Our DNA has been shaped from many years working at the highest industry level in the world’s largest and most respected advertising agencies in London. Our team has experience in every sector you care to mention. And it’s this unrivalled experience we bring to the table should you decide to work with us. But don’t just take our word for it. 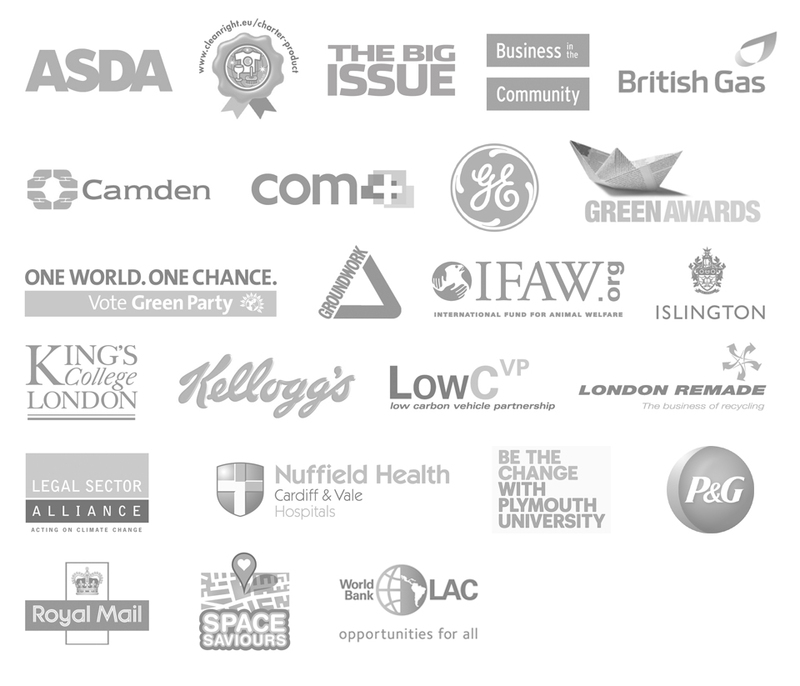 Some of the organisations that have previously benefited from our unique blend of strategic creative thinking and sustainability knowledge vary from multi-nationals to not-for-profits.